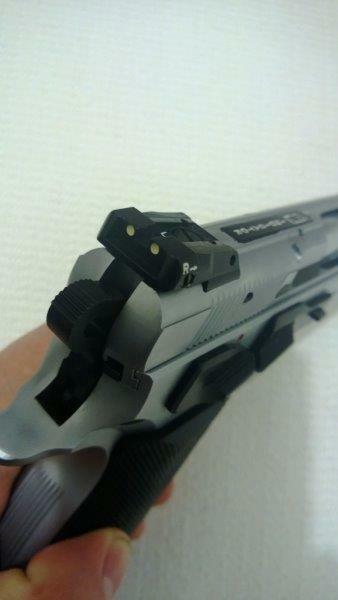 I learned about Canik 55 (pronounced, "ch'e-nick") at the SHOT Show 2013. 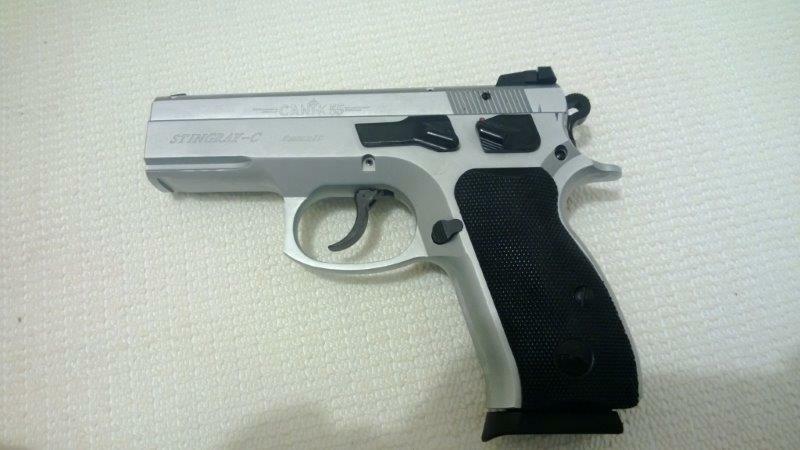 It is a Turkish company that seel to specialize in cloning successful firearm designs. 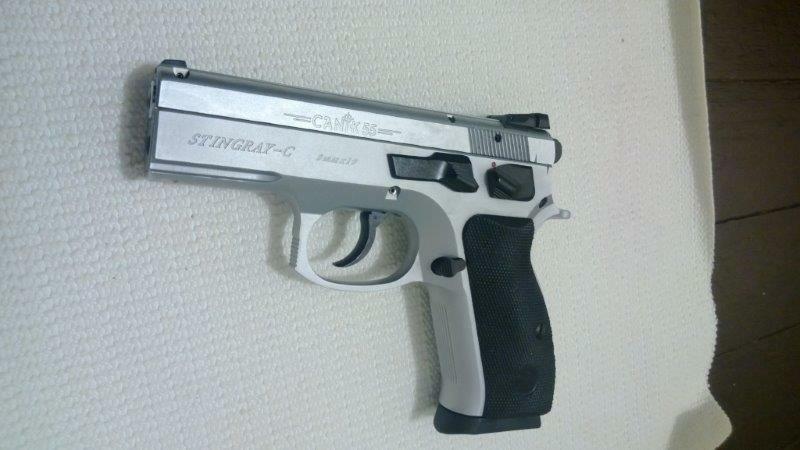 The ones at the SHOT Show 2013 looked interesting, so I ordered a few S-120, which are a very close copy of CZ 75B, and StingRay-C.
StingRays are a play at CZ 75 P-01. 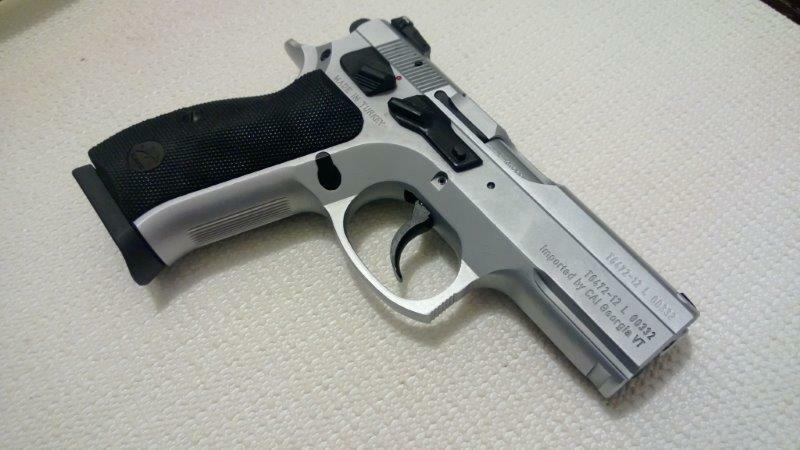 Unlike S-120, they are not identical copies of the Czech protagonist. First, the frame is steel, not alloy. 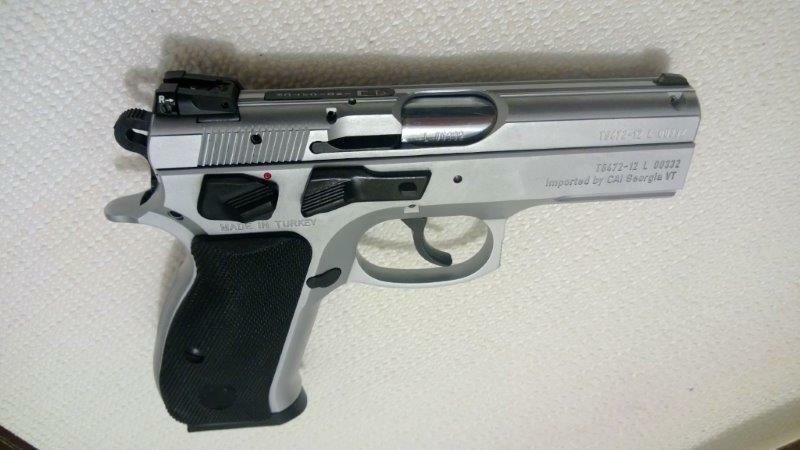 So it is heftier than P-01, at 2 lb 5 oz (2lb 2 oz without the magazine). Additional heft is not enough to be burdensome, and it feels very stable and very substantial in the hand. 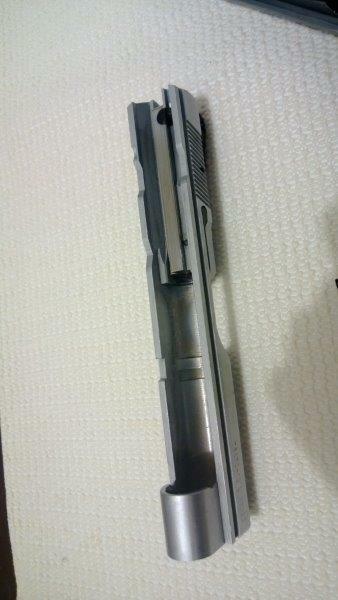 Second, it has ambidextrous slide release and safety. 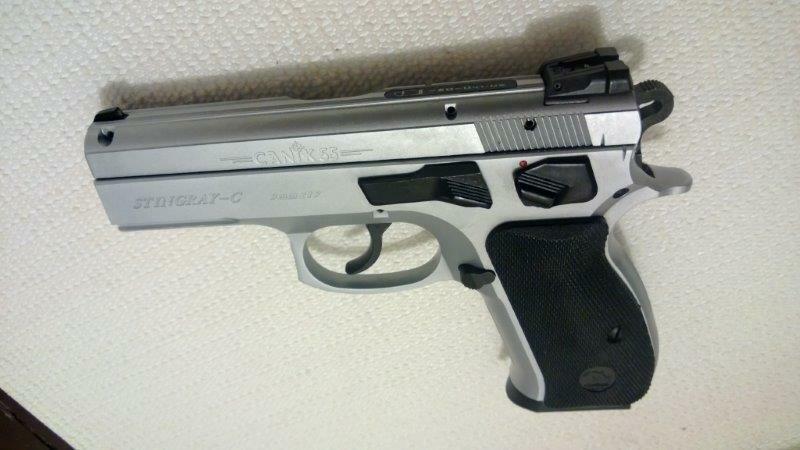 Third, unlike P-01, it has a standard safety, not a decocker. 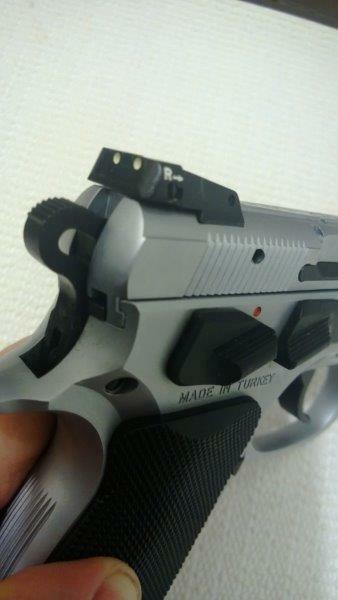 Finally, it has really nice phosphorescent fully adjustable night sights - P-01 has just fixed white dots. Other than that, it actually looks very, very close. 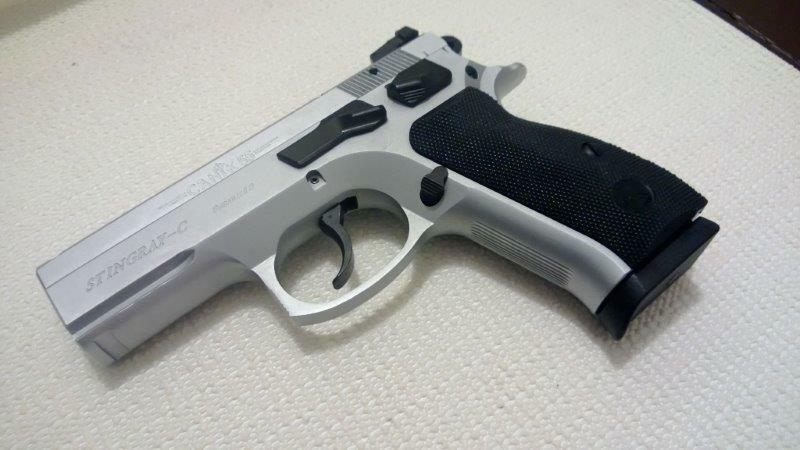 The trigger profile feels identical to CZ - clean single break at 4.5lb, very short, light stroke double. 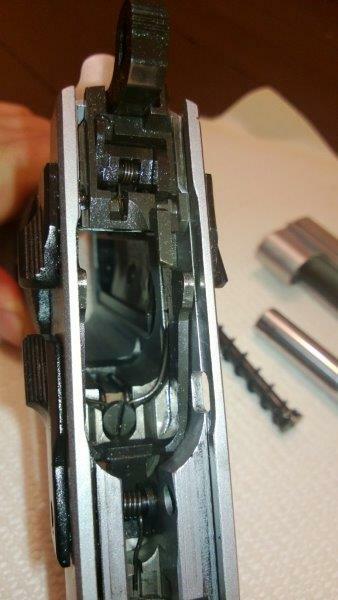 It disassembles just like any CZ, and looks like a CZ inside. 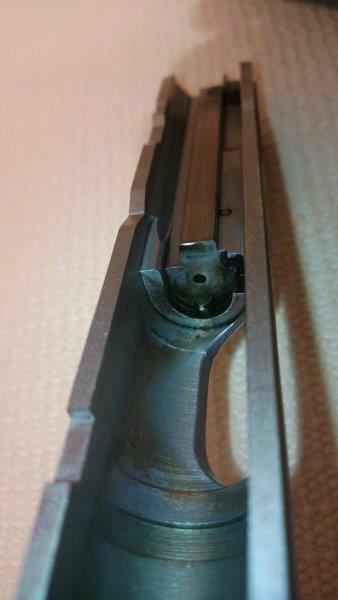 Unlike many later CZ models, the guide rod is metal. 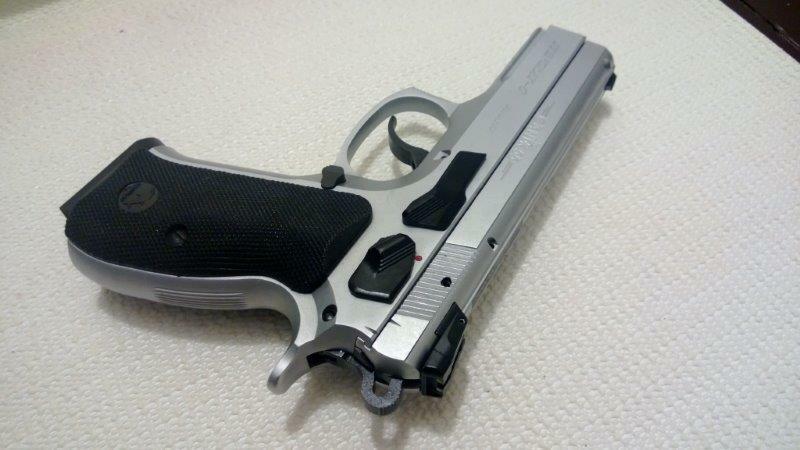 So it looks great, is comfortable to hold, but how does it shoot? I tried it with S&B which I still have a couple of boxes. This did not go very well - groups were all over the place, and primer pockets on the fired cartridges did not seem right: the place where the pin hit the primer cup was almost inverted. 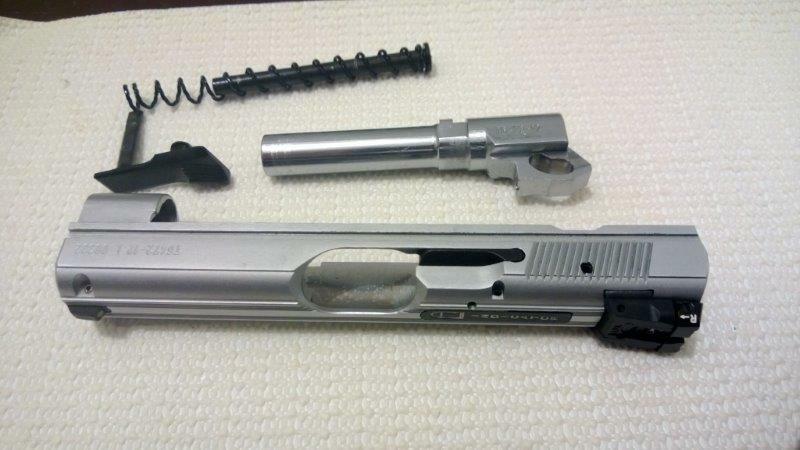 It looked like the load was very, very hot in this pistol. And hot loads are rarely accurate. This one certainly was not. To be frank, I am yet to see a pistol in which S&B would be accurate. 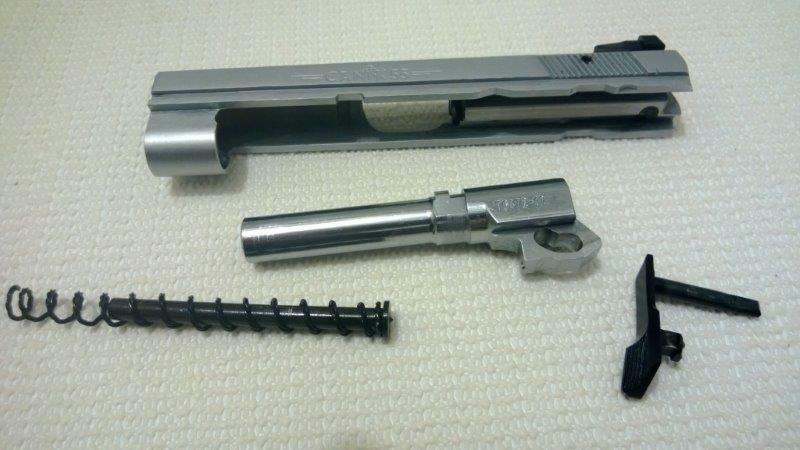 Ideally I would test it with American Eagle, which is in my humble opinion the best 9mm ammunition. But due to the shortages I simply could not find it anywhere. 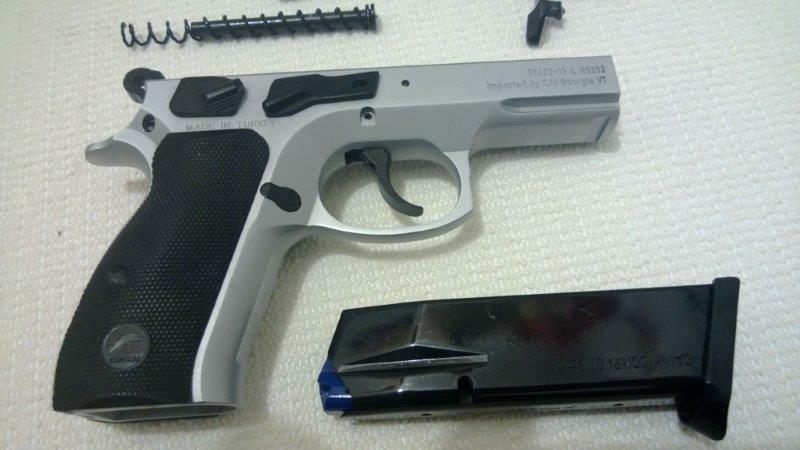 The only practical solution was reloading, and I was not set up for 9mm - most of my pistols are 40S&W. 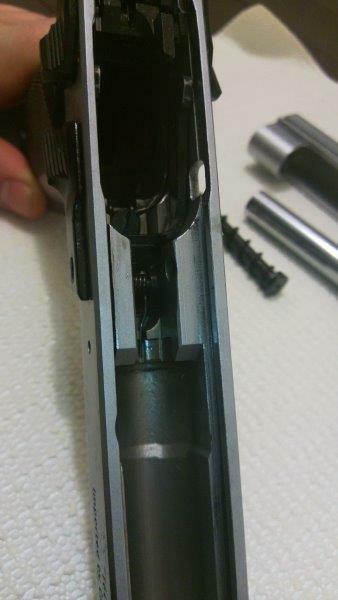 It took me a while to get 9mm loading process in place. Finally, with a new Dillon installed and more or less adjusted, I have made enough to spend some time with it at the range. 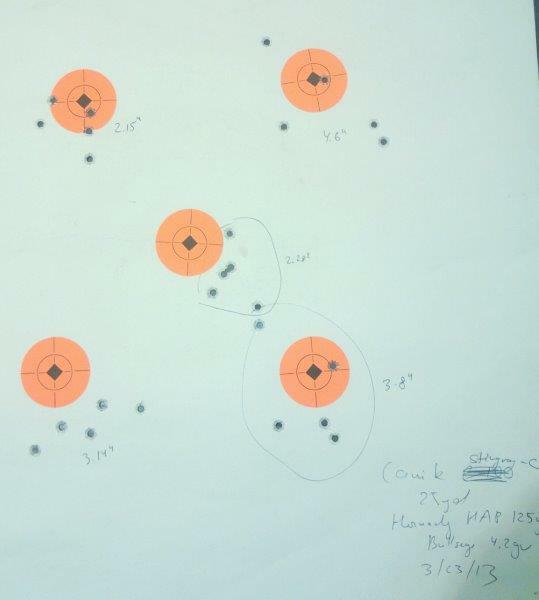 To my surprise, Lapua 9mm bullets did not do well in it at all! It was all over the place, with groups as big as 5-6" at 25 yards! 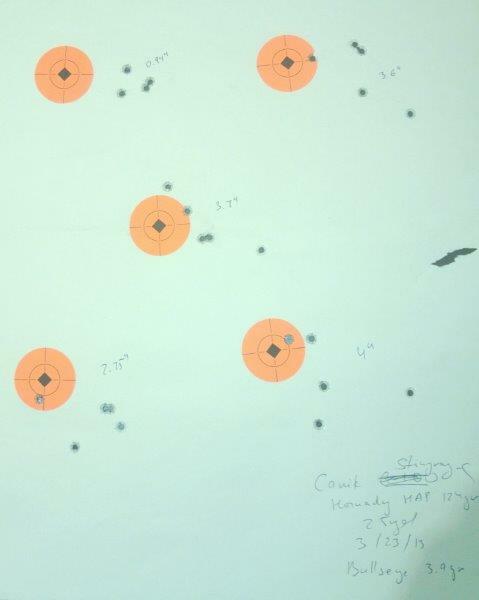 Things improved when I switched to Hornady HAP bullets. 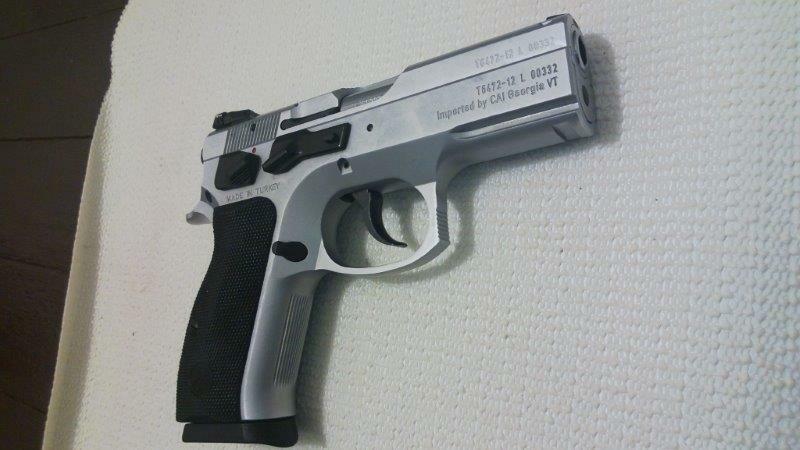 I only had 125gr ones, I wish I could try 115gr bullets - chances are, these are what the pistol was designed for. 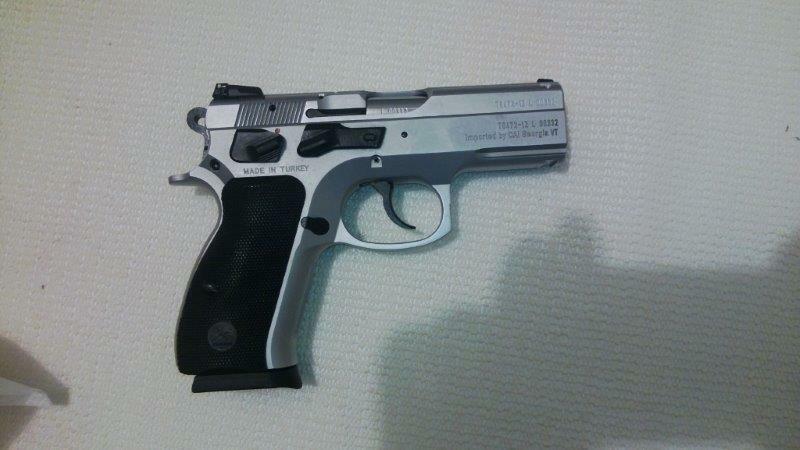 Nevertheless, even with 125gr bullets it did quite well - especially for a short 3.5" barrel. 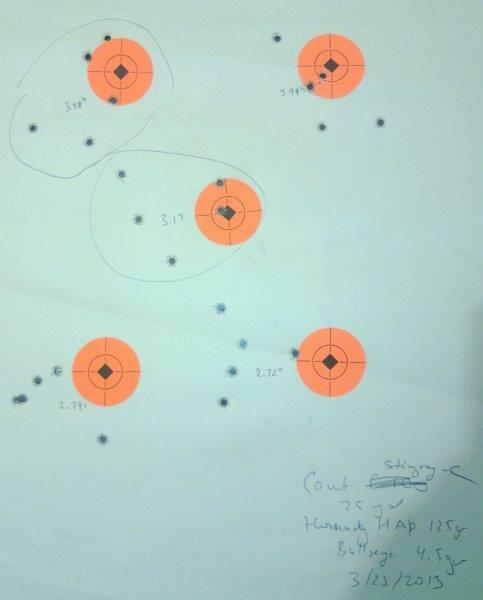 The numbers below are at 25 yards from a supported position. Strictly speaking, there is not a statistically significant difference between these samples. However, the hotter load was not as comfortable to shoot, and by the way pistol behaved, it felt like it was putting a strain on it. 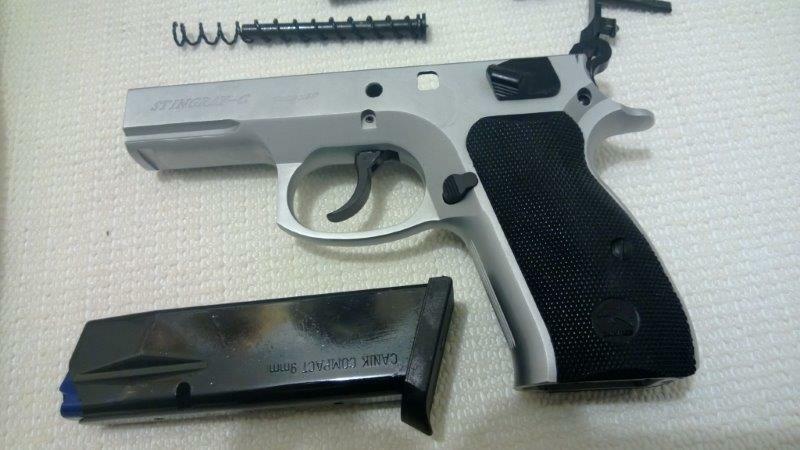 Overall, 3" groups for a short-barreled, small pistol felt quite reasonable, and based on what I have seen on factory proof targets that come with CZ pistols, well within the spec for even 4.7" barrels.